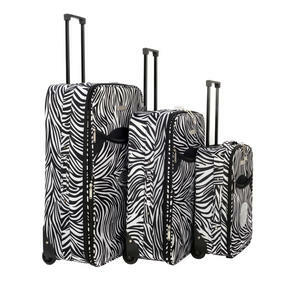 Ideal for frequent travellers or sharing on a family holiday, these 18”, 24” and 28” suitcases will suit all your needs. 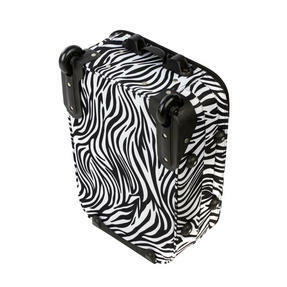 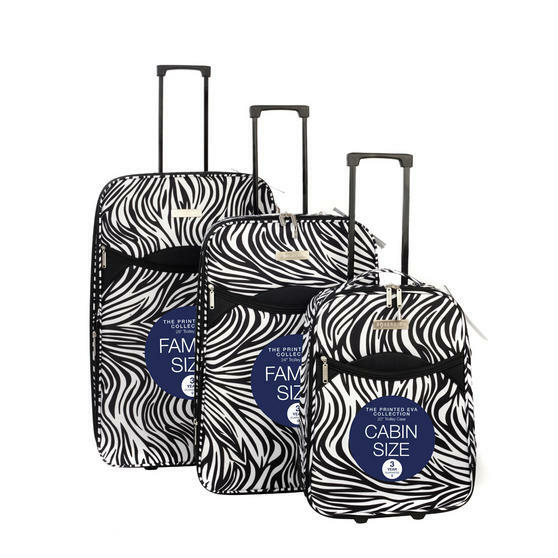 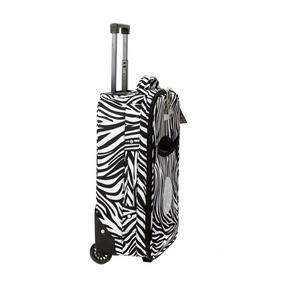 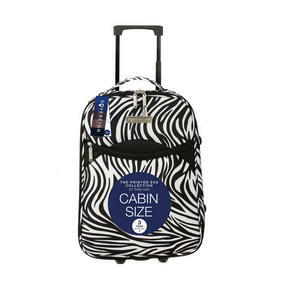 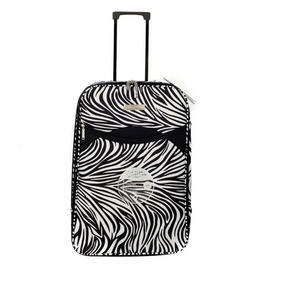 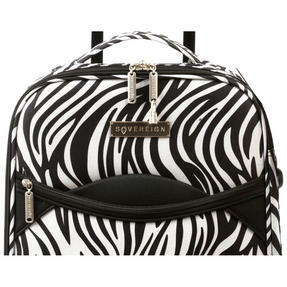 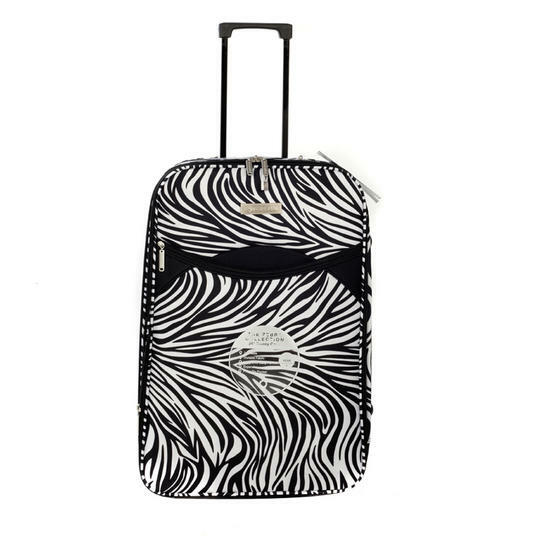 Made from strong polyester with a fantastic zebra print pattern, they look great in any setting so you can look good when you arrive at your destination. 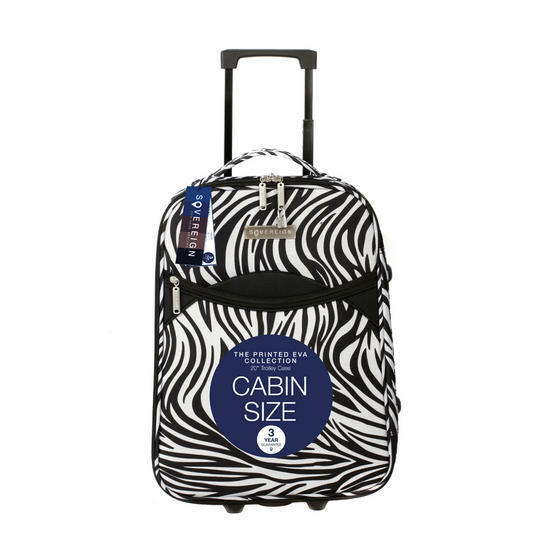 The 18” case should be within the size limits required of hand luggage for most flights so you can keep your belongings safely with you, while the larger cases have bigger packing capacities and are great for long holidays. All three suitcases feature two smooth wheels and retractable top handles so you can easily pull them through the airport. 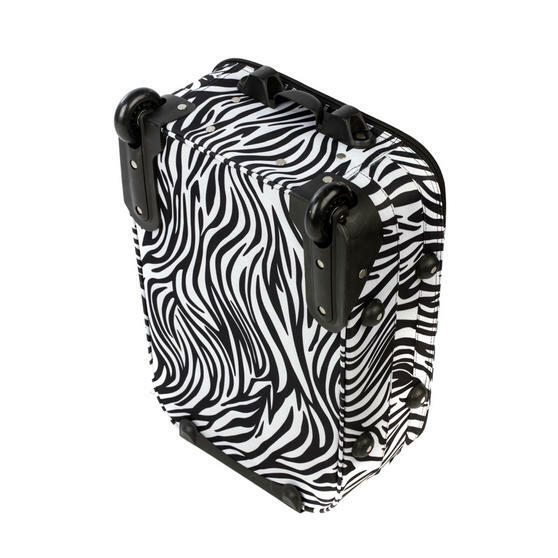 The 24” and 28” suitcases have huge capacities, ideal for packing more into your suitcase for an extended holiday or long haul flight.